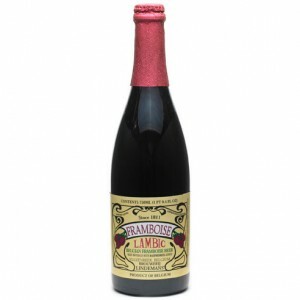 From its raspberry-doused cork and pink-headed magenta hue to its extremely ripe sweet-tart raspberry edginess, this aged-in-oak Belgian ale is probably a better aperitif than marginal red wines. Zesty citric pep and pomegranate-juiced cranberry-cherry-strawberry souring help define distinguished character of truly original brew. Eye-squinting raspberry tartness inundates resilient sour grape pungency and syrupy caramel malting, getting musty by sherry finish. Mighty fine fruited dessert fodder.